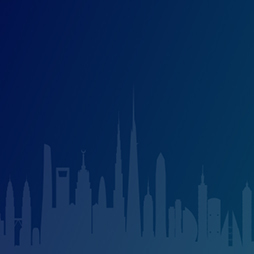 150m+ Buildings 19 Completed • 3 Under Constr. 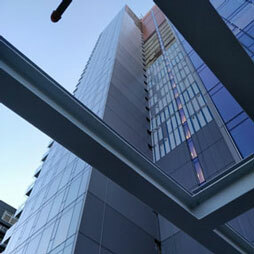 The CTBUH Seattle Chapter recently toured Kiara, previously known as 970 Denny Way, a mixed-use, high-rise development in Seattle. 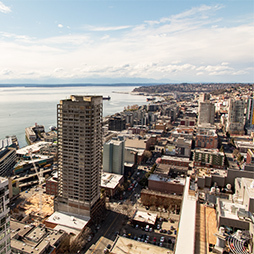 CTBUH Seattle hosted a site tour of West Edge Tower in downtown Seattle on Thursday, 22 February, featuring a blend of completed and in-progress spaces throughout the tower. 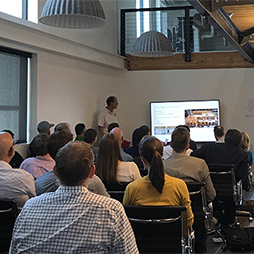 CTBUH's Seattle Young Professionals Committee (YPC) hosted a Cross-Laminated Timber (CLT) 101 presentation series at Katerra's Seattle offices. 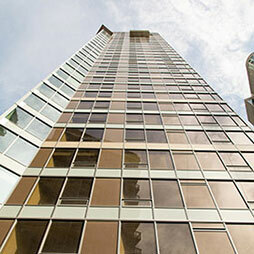 The CTBUH Seattle YPC heard from industry experts at a tall timber presentation, followed then by a networking event. 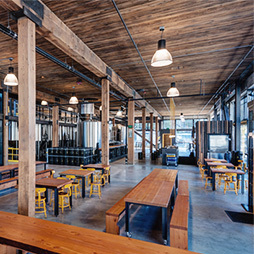 The CTBUH YPC of Seattle met to tour the Olson Kundig-designed Optimism Brewery building, formally an abandoned warehouse in the city’s Capitol Hill neighborhood. 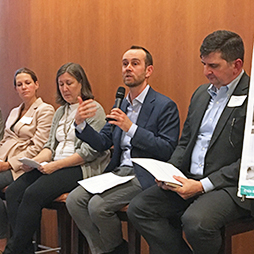 The annual CTBUH Seattle Spring Forum featured a panel discussion examining and interpreting the impact of Seattle’s "HALA" on future downtown development. 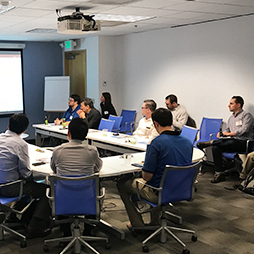 The CTBUH Seattle Young Professionals Committee (YPC) held their first board meeting at the office of Magnusson Klemencic Associates. 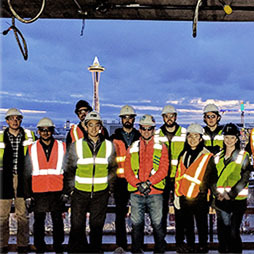 CTBUH Seattle's Young Professionals Committee (YPC) organized a tour of Tower 12, a 35-story, 386 foot tall residential tower in downtown Seattle. 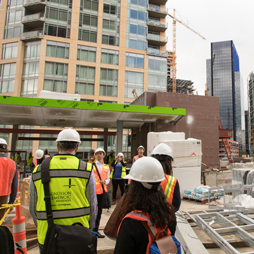 The Seattle Chapter of the Young Professionals Committee hosted a site tour of Troy Block, providing significant insight into the relationship of the historical and new. 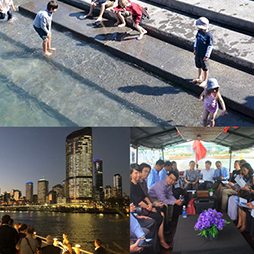 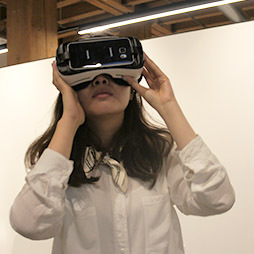 CTBUH 2015 delegates toured Seattle, gateway to Asia and icon of the Pacific Northwest, where they witnessed a showcase of tall building and technological innovation. 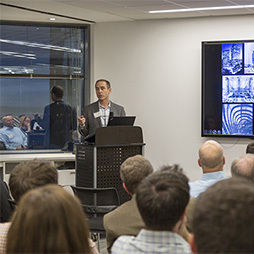 Bill Browning of Terrapin Bright Green lectures on “The Sustainability of Going Tall” as the first event in a series focusing on Seattle neighborhoods. 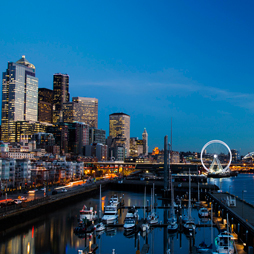 A new committee of the Council on Tall Buildings and Urban Habitat has been established in Seattle, and held its first public event at the Seattle offices of Gensler. 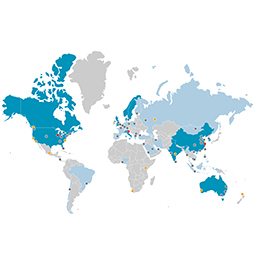 Life Cycle Analysis: Are We There Yet?